I have been learning to crochet. 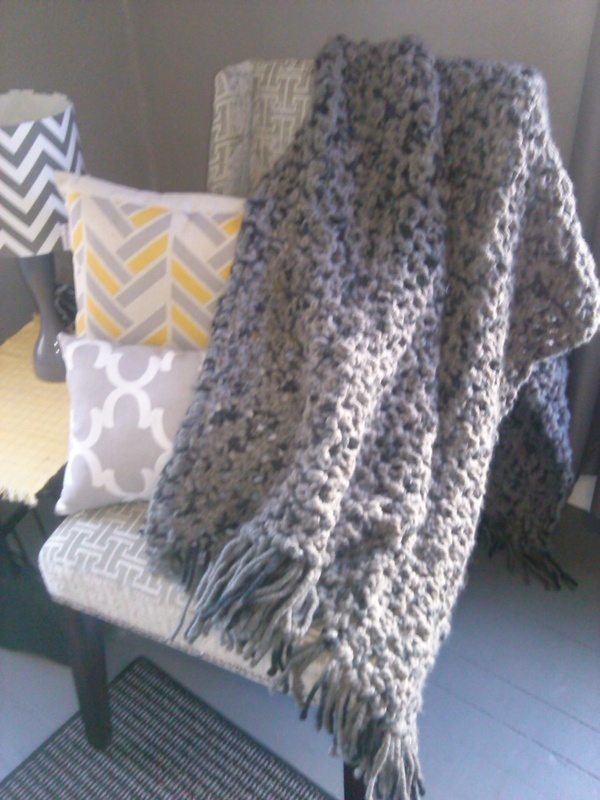 This afghan was my first project. I redecorated my front room and I happened to come across this yarn that was on sale and matched that room, so I thought I’d try my hand at an afghan. The yarn is Lion Brand Wool-Ease Bulky in the color Raven, which is a grey with black mixed in it. It turned out great and is nice and cozy to snuggle in. 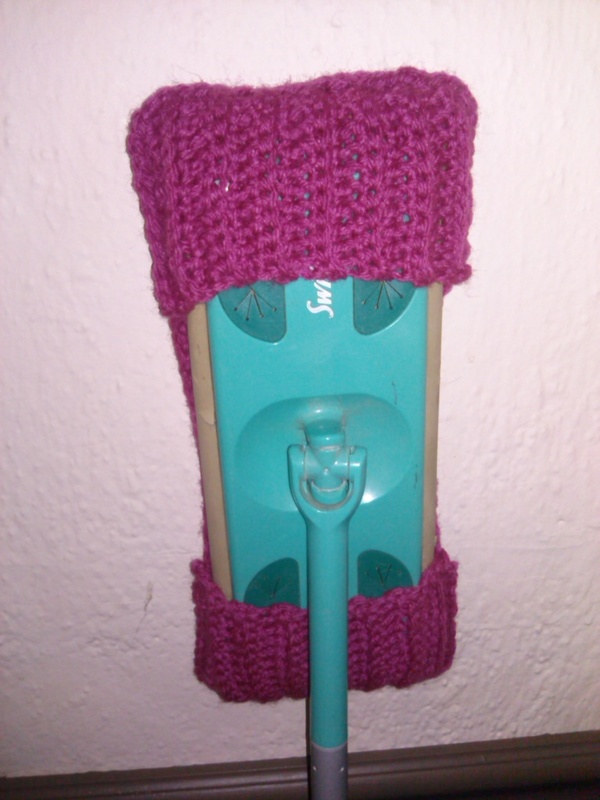 Another crochet project I did was this cover for a swiffer sweeper. I did one and used it and washed it and it worked really well, so I made another one. You can use the one side of the cover, then flip it inside out to use the other side too. Then throw it in the wash and reuse. Here’s another crochet project I did. I made a cover to put over my wicker bench.